Would you like to turn your 9100 into an under counter? Well, you can! 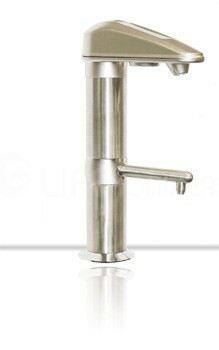 The faucet is fairly easy to install and most people can do it themselves. The instructions are in your 9100 manual, and an instructional video is also available online. See for yourself how easy it is. Turn your counter-top unit into a convenient under-counter unit, and reclaim your counter-top space! The Under Counter Conversion Package will allow you to re-locate your LIFE 9100? Ionizer under your sink, and grants you the ability to easily dispense alkaline or acidic water from a stylish stainless steel adapter.